In Olomouc? Love coffee? Just discovered your train is running late? Forget the nasty generic Mr Baker type places on Olomouc Hlavni Nadrazi and head across the road to Love Coffee; you won’t be disappointed. Which came first the hipster or the bean? 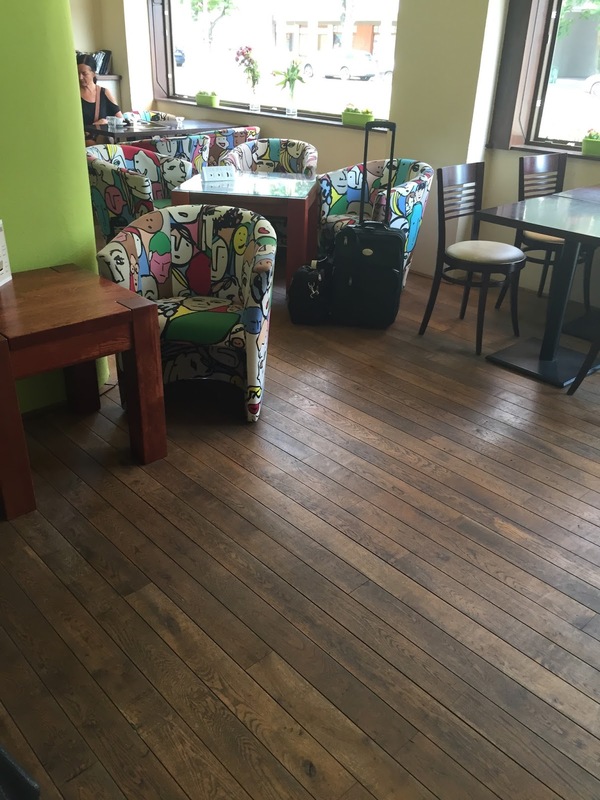 I get the feeling in many of the cafes I’ve non-reviewed they are preaching to the converted. The places haven’t been set up by some evangelical coffee purists but have been established by opportunist capitalists in order to win the hard-inherited buck of the coffee loving hipster. The very people who already know all about the coffee revolution and are probably already thinking hipster coffee has become too mainstream and are looking around for something else. Love Coffee is different. There’s nothing hipster about Love Coffee and you get the feeling that hipsters would turn their noses up at the place; thinking it was not fit to touch the lead of their Macbook. and the cakes in the cold counter are just as colourful. 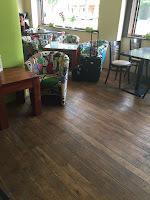 Eva is a coffee enthusiast whose sole mission is to educate the taste bud of the coffee drinking people of Olomouc. She was thrilled when I ordered a drip coffee without prompting. She didn’t seem to care if her clientele were hirsute, tattooed students, or old ladies with walking sticks she listens to their orders and then asks them to try the filter coffee. 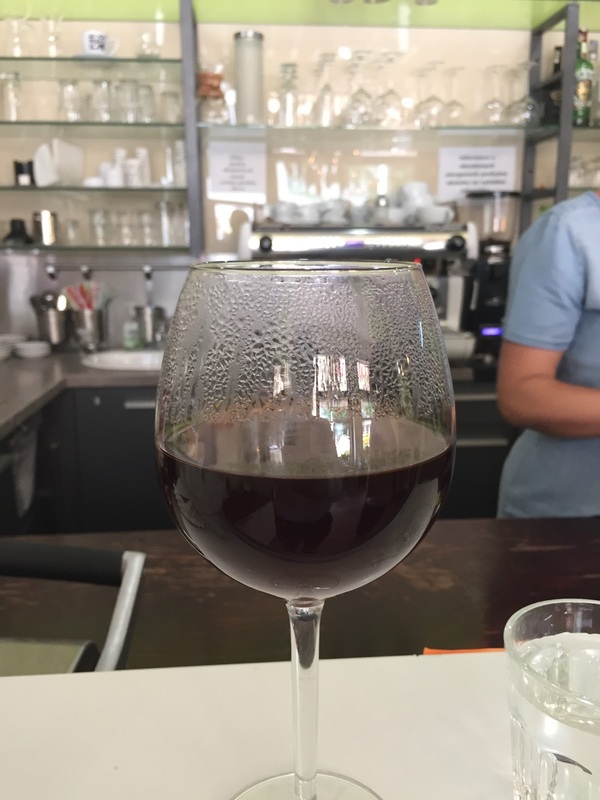 Interestingly the coffee was served in a wine glass which seemed just a quirky gimmick (can you have an unquirky gimmick?) but it meant you could really appreciate the nose of the coffee. This isn’t a place for your discerning hipster, but if you suffer from pogonophobia, tatouazophobia or malusdomesticphobia and you fancy a filter coffee, check it out.